There is some key information to check and decisions to be made before leaping in to respond to a tender. First up, responding to a tender is hard work. A credible tender always contains several documents and a large amount of information to read and absorb. It will require you to answer a multitude of questions, sometimes in great detail and other times to specified word limits. There is a deadline involved; your response has to be lodged by a specified time and date and in a specified format and place or all your hard work will be wasted. It is costly in time and resources and in cash if you decide to hire some professional help. The initial question: do we want to respond to this tender? Read the documentation first, focusing on the specifications/requirements of the service/product, the evaluation criteria, the closing date for applications and an assessment of how much work is involved in the response document. Do we have time to respond to the tender, considering the closing date and amount of work involved? Do we have a realistic chance of winning this tender, considering its requirements, the evaluation criteria, and what we can offer? Are there any ‘knock-out’ requirements that will stop us from bidding? For example, a large security bond, mandatory ISO/AS accreditation, unrealistic timelines for your business to provide the product/service, or specifications you simply cannot meet. Are we passionate about winning the business on offer in this tender? Do we REALLY want it? If the answers are YES, YES, NO and YES, then you are in the hunt to respond to this tender document. You need to make these decisions quickly, because tender submission deadlines are never generous. If the documents end up sitting on your desk or email for a week or two, then you are not serious about responding. You’ve wasted too much precious response time. The bigger the prize on offer in a tender, the more work involved in responding to the tender documentation. If you want to bring in external assistance, such as a specialist tender writer, book their services even before the documentation is released, if possible. Or make your decision quickly after examining the documentation, because no tender writer will swoop in to save you a week before the submission deadline. Watch out for more Tender 101 articles to come! Photo: Mickey’s Fun Wheel, Paradise Pier, Disneyland’s California Adventure Park. 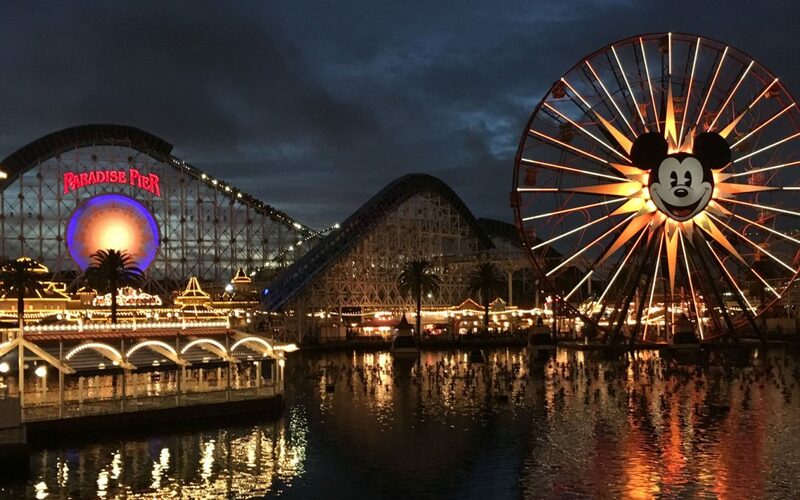 Paradise Pier, which was themed around beach life in California, was remodelled into a Pixar-themed land, Pixar Pier, and reopened in June 2018. Proposal writing: Do you need a proposal writer, bid writer or tender writer?